JulieAnn Villa, one of four teachers in residence at the Kavli Institute for Theoretical Physics, attends a lecture in the “The Evolution of Drug Resistance” program. KITP's 2014 teachers in residence: JulieAnn Villa, Nick Nicastro, Tom Jacobson and Ryan Strickland. While many teachers take the summer off, educator JulieAnn Villa uses the time to go back to school. For Villa, summer affords the perfect opportunity to learn ways of enhancing the science research course she teaches at Niles West High School in Skokie, Illinois. For two weeks in July she was one of four teachers in residence at UC Santa Barbara’s Kavli Institute for Theoretical Physics, all funded through a generous donation from the Wyatt Technology Corporation. Villa spent her days attending lectures highlighting “The Evolution of Drug Resistance,” one of KITP’s current programs; and participating in informal discussions and labs with researchers, postdoctoral scholars and professors. According to Villa, the experience was completely different from any other continuing education program she has attended. “Now I see where science is going,” she said. “Watching some of the discussions, it became evident that you really have to be bold and realize that science is an exchange of ideas. Nicastro and two other teachers in residence participated in “Dynamics of Planetary Interiors,” another KITP program. All of them saw ways to apply parts of what they learned in their classrooms. According to Thomas Jacobson, the opportunity to see what researchers are doing provided valuable insight into the application of science and mathematics. “All the math I ever took, they use,” said Jacobson, who teaches physics and geophysics at Hinsdale South High School, 20 miles southwest of Chicago. “All the earth science knowledge, they use. All the engineering knowledge, they use. All the physics knowledge, they use. As part of the KITP program, the teachers in residence visited the nearby Dos Pueblos Engineering Academy (DPEA). DPEA is the brainchild of its director, UCSB alumnus Amir Abo-Shaeer, a MacArthur “genius grant” recipient. Nicastro agreed. “Programs such as these, driven by teachers, continually renew my faith in an aspiring educational system — even after 42 years of teaching,” he added. 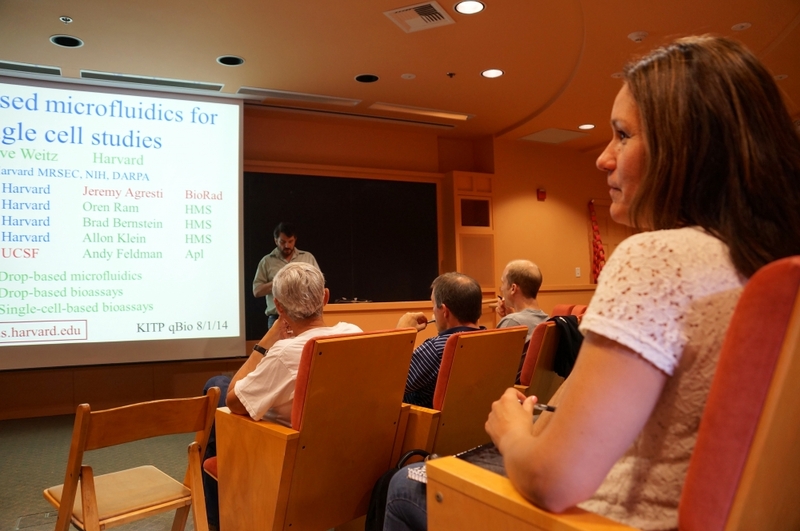 The teachers-in-residence program grew out of town hall meetings with participants during KITP’s 2013 and 2104 annual teachers’ conference led by KITP Director Lars Bildsten and Deputy Director Greg Huber. “High school teachers who attended were themselves the catalysts for this new program,” Huber said.